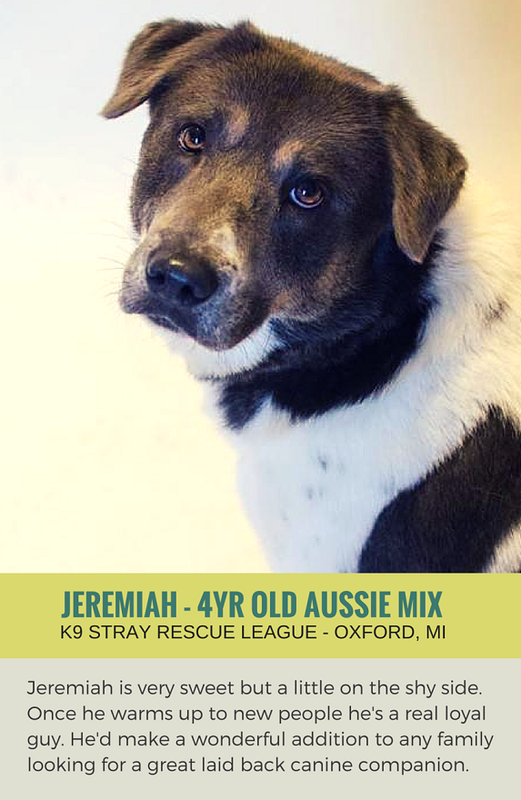 You are here: Home / Shelters & Rescue / Sweet Jeremiah Just Needs a Second Chance – Adopted! 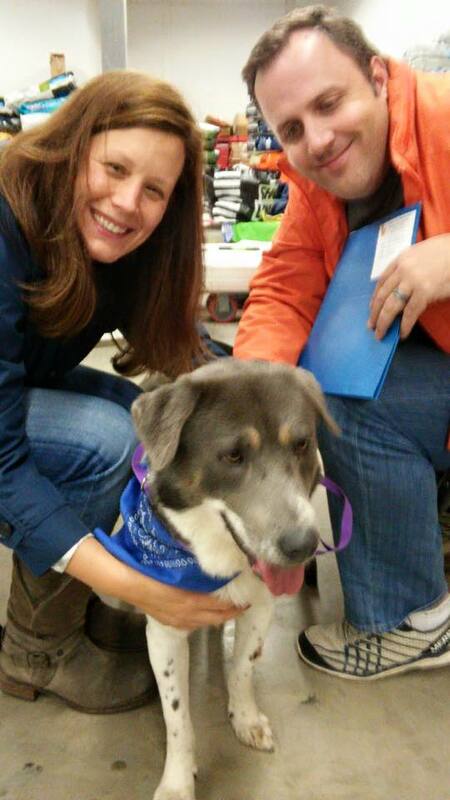 Sweet Jeremiah Just Needs a Second Chance – Adopted! What is it about shy dogs that always gets to me? I feel such a strong connection with these guys – the ones who get passed over, the ones who tend to be invisible, blending into the background. One look at Jeremiah and I knew – this guy is special. Quiet, reserved, and scared – everything I would be if I were in his situation. Being abandoned by the only family you know and finding yourself in a new loud & chaotic environment with complete strangers. It’s quite scary & intimidating, and unfortunately Jeremiah’s timidness is what makes him so easy to miss. Unlike many other dogs at the kennel Jeremiah he doesn’t come off as a happy go lucky guy to potential adopters. He doesn’t race to the end of the kennel to greet every new person with his tail wagging, he’s very reserved and scared in his kennel. Dogs like Jeremiah get passed by every day, and most of them end up living in the shelter for months just waiting. Waiting for that special someone who sees their true potential. 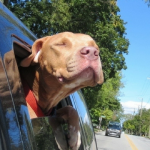 Jeremiah was a loving, devoted and fun family dog, and with a little patience he will be again. I am a 4 year old Aussie boy. I weigh about 60 pounds. I am not doing so well in the kennel environment. I am very sad and seem to be grieving. I am low key in the energy department, but that might change once I have a new family to replace whatever I’ve lost. I have a million things to say, but I just want a loving home. Sweet Jeremiah just needs a second chance. 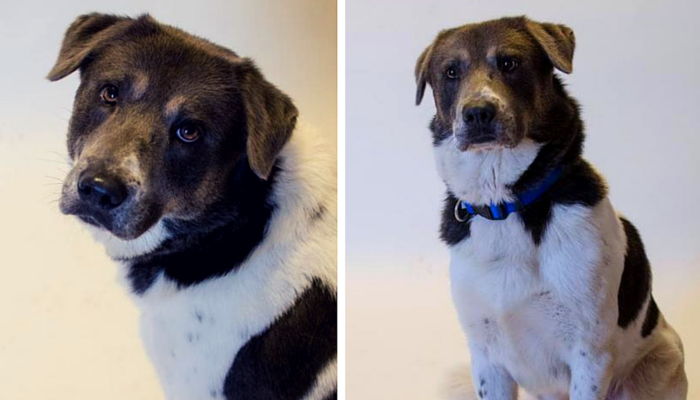 Come out and meet him — he’s slow to warm up but once he does you’ll have yourself a devoted friend for life. You can help sharing; let’s find this guy the loving home he deserves. K9 Stray Rescue League is a non profit rescue group that was founded in 1990 who rescues dogs from local shelters. All of their dogs are up to date on medical including being spayed or neutered. In addition to adopting out animals in need they’ve provided many dogs to Leader Dogs for the Blind & U.S. Customs over the years. 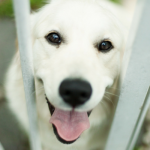 All of their dogs go through temperament tests to ensure they end up in the right home. 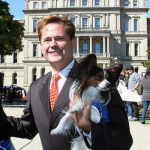 They hold adoption events every weekend and have a facility located in Oxford, Michigan. Check out their website for more. 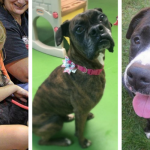 Blog Paws is celebrating adopt a shelter pet month throughout October. You can join in this special blog hop at anytime this month by sharing an animal in need. Together we can make a difference, together we can help get these guys the second chance they deserve. Love reading happy tails like this! What an adorable dog.